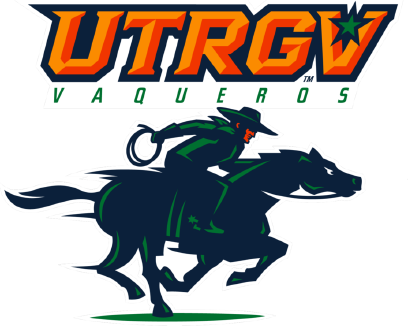 EDINBURG — The UTRGV baseball team fell to New Mexico State University 14-3 in eight innings on Thursday at UTRGV Baseball Stadium. UTRGV (22-30, 7-15 WAC) scored its first two runs on its first three hits against Kyle Bradish (7-3) with two outs in the third, when junior Anthony Gomez, sophomore Elijah Alexander and sophomore Coleman Grubbs hit consecutive singles. UTRGV scored again in the sixth, when Grubbs singled, stole second, moved to third on a single by senior Austin Siener and scored on an error. Grubbs finished 2 for 4. Bradish went six innings, striking out 12 while allowing five hits and walking one. Senior and PSJA High alum Jorge Flores (6-6) retired the first four batters he faced, but after Trey Stine reached on an error, NMSU (35-18, 16-6) opened up the floodgates, scoring seven runs on two-run home runs by Tristen Carranza and Caleb Henderson, a two-run single by Joey Ortiz, and an RBI single by Logan Bottrell. Then, after UTRGV cut the deficit to 7-2, NMSU took advantage of another error to score two runs in the fourth on a double play by Ortiz and an infield single by Henderson. NMSU scored two more unearned runs in the sixth on a two-run single by Ortiz. In the seventh, Marcus Still hit an RBI double, and in the eighth, Stine hit an RBI single to give NMSU a 10-run lead. Nick Gonzalez added an RBI double to complete the scoring. UTRGV and New Mexico State play the middle game of this series at 7 p.m. Friday during Little League Night. All little league players wearing their jerseys and their accompanying guests can take advantage of specially priced $3 tickets. Gates open at 6.